The Yukon government and the territory's francophone school board will be at the Supreme Court Wednesday to argue a case that could decide who has the right to control admissions to francophone schools outside Quebec. The big question is who has the right to control admissions to francophone schools. "It does raise important issues across Canada," says Max Faille, counsel for the Yukon government, "and this issue that we as a country have been grappling with for generations, really, of minority language education. It's an area of the law that is constantly evolving as a result of the natural tensions that exist and that have always existed." Section 23 of the Charter of Rights of Freedoms guarantees Canadians the right to education in a minority language, whether English or French, but extends that right only to the children or grandchildren of those who were educated in French or whose first language is French. In some cases, francophone school boards also welcome students of families who had the right to a French-language education in the past, but were unable to exercise it. 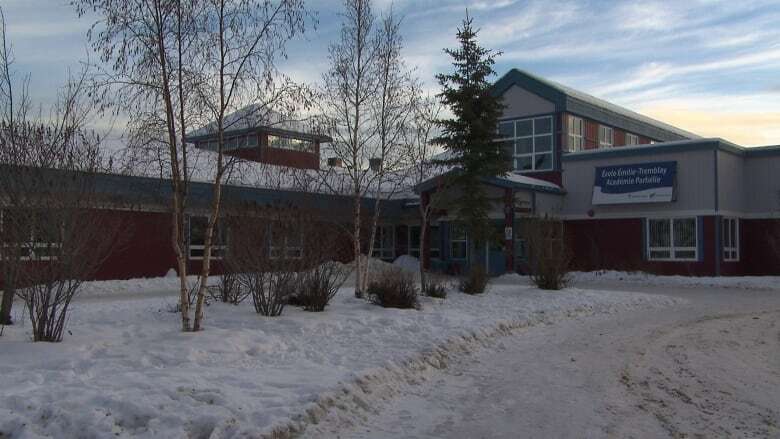 Roger Lepage represents Yukon's French school board, which first brought the case against the Yukon government in 2009, claiming the territorial government was withholding money and not giving it full control over its staff, school programs and enrolment. He argues that the French school board should be allowed to determine who its students are because there are reasonable exceptions that exist. "Can they allow immigrants who are not citizens to attend the francophone school? Can they allow people of French ancestry who were assimilated because there were no French-language schools? Can they allow their children to come? Can they allow some anglophone families who have integrated to the francophone community to attend?" The board argues many francophones have already been assimilated, and points out that many francophone students who do exercise their rights transfer to English schools by high school. It says allowing exceptions means francophone communities in minority settings can grow and thrive, according to the spirit of the charter. Some provinces — like Ontario, which educates about 100,000 of the 150,000 francophone students outside of Quebec — already allow for these exceptions, according to the National Federation of Francophone School Boards. The list of interveners in the case includes the governments of Quebec, B.C., Saskatchewan and the N.W.T. Also intervening are the Commissioner of Official Languages of Canada, the B.C. francophone school board, francophone parents groups in B.C. and Alberta and the National Federation of Francophone School Boards. The case is not the only legal battle being fought between French school boards and provincial and territorial governments. Earlier this month, the N.W.T. government won an appeal against a francophone group that had previously won the right to bigger, better school facilities for French students. The original case brought against the Yukon government was successful. In 2011, the Yukon Supreme Court ordered the Yukon government to build a new French-language school in Whitehorse. But that decision was later overturned by an appeal court, which found the judge in the initial case, Justice Vital Ouellette, was biased. "There is this unfortunate circumstance in this case in which the Yukon government felt it did not in effect get a fair hearing," says Faille, the Yukon government lawyer. The government pointed to several incidents in the original trial where it says the judge appeared closed-minded. In its appeal, the Yukon government also pointed out that Ouellette sits on the board of governors of the Franco-Albertan Foundation, a charitable group that distributes money to francophone communities. The francophone school board maintains the judge's involvement in the group is not political or an indication of bias. "A judge should not be completely cut off from society," says lawyer Lepage. "That's important in our judicial system, so it's a question of clarifying the rules." Lepage says the ruling on this from the Supreme Court could clarify the rules for all judges in the country. The Supreme Court will also consider whether the Yukon government is obligated to communicate with the francophone school board in French.